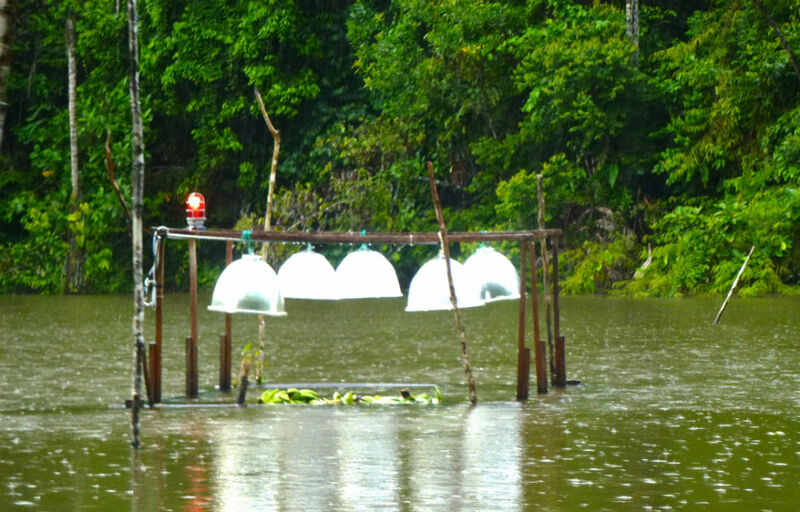 La Turmalina served as our home base as we cruised along the major rivers but as well smaller modes of water transport were used so that we could enter narrow, overgrown streams of water and get to lagoons where we could observe the catfish farming practices of the river -side dwellers. 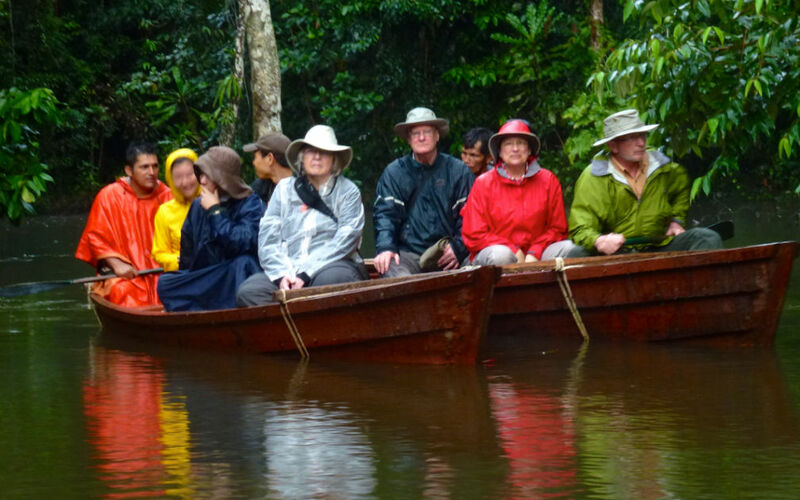 During these trips in the motorized skiffs or the small catamarans or rowboats we learned about the aquatic geography and the flora and fauna of the area. 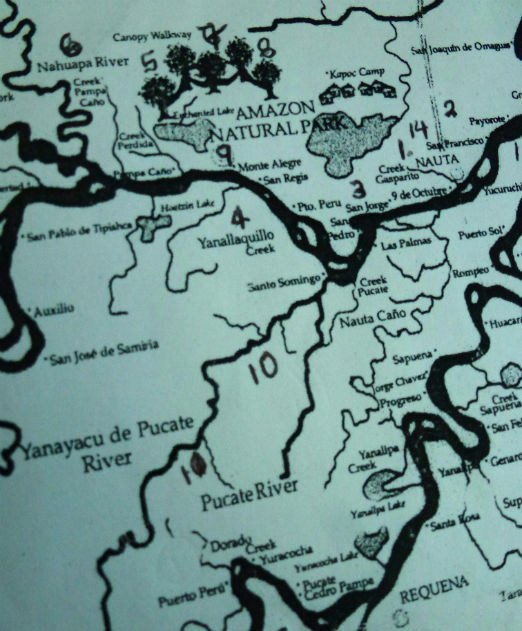 One of our first excursions was to Yanallaquillo Creek also known as Blackwater Creek. As shown in the picture above, water colour varies depending on the different soils, sediments and the tannins from the tree barks. The black colour comes from an excess of tannins that literally turn the water black. 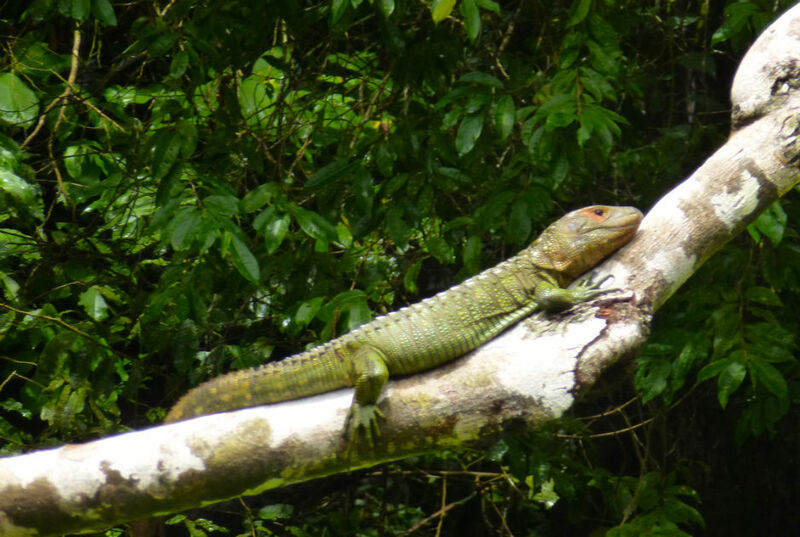 We saw a snail-eating cayman (South American reptile of the alligator/crocodile family) and a green iguana basking in the sun on a branch. 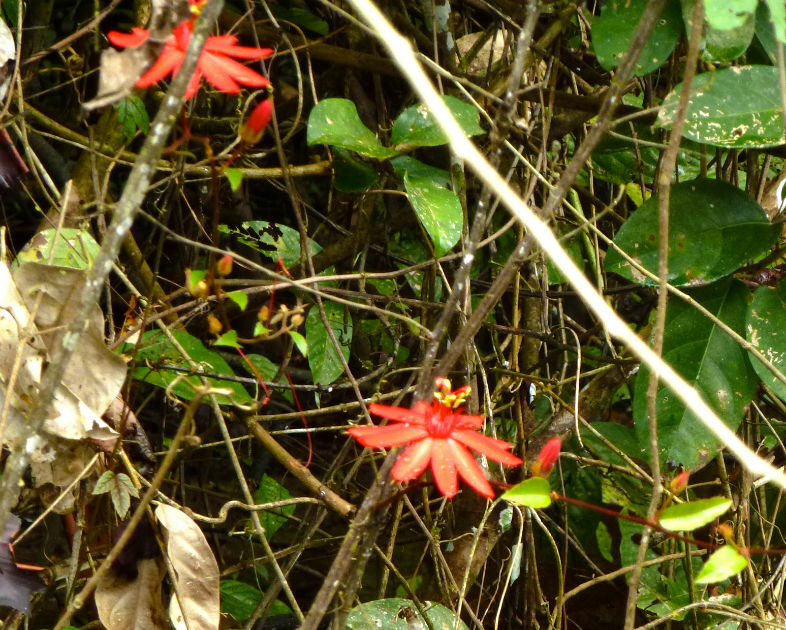 The guides also pointed out a bright red flower called the passion flower. It is related to the purple edible grenadilla or passion fruit, but this red variety of flower and gourd is poisonous. On our catamaran trip into a lagoon area, monitored by game wardens who watch for poachers, we saw areas where the locals farm catfish. Nearby we noticed hundreds of tiny fish jumping out of the water and feeding on ants and termites falling from the nests hanging from the tree branches. A sudden downpour caused a rush to cover up with rain gear. For a while on the way back to transfer from the catamaran to our motor skiff I think we all were wet and somewhat uncomfortable. 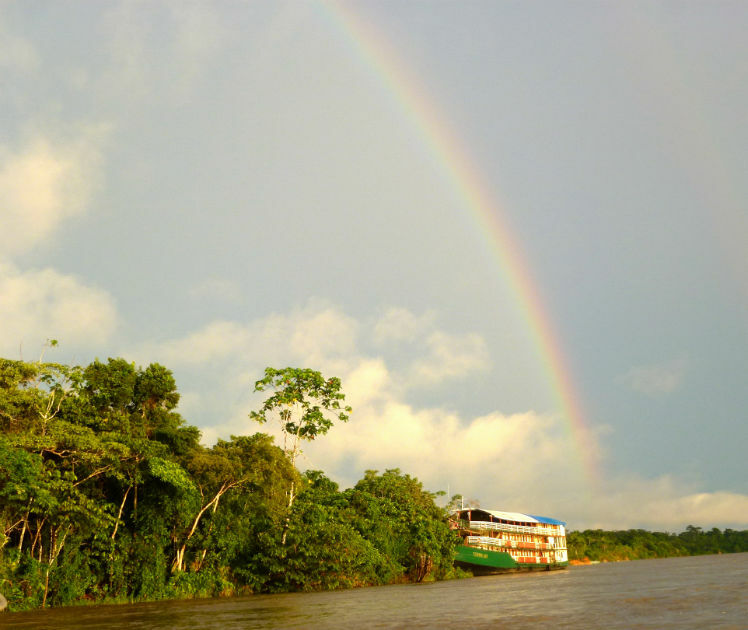 But as we rounded a curve in the river and saw La Turmalina ahead, the sun came out and an exquisite rainbow arching over the ship brought smiles to everyone's face.